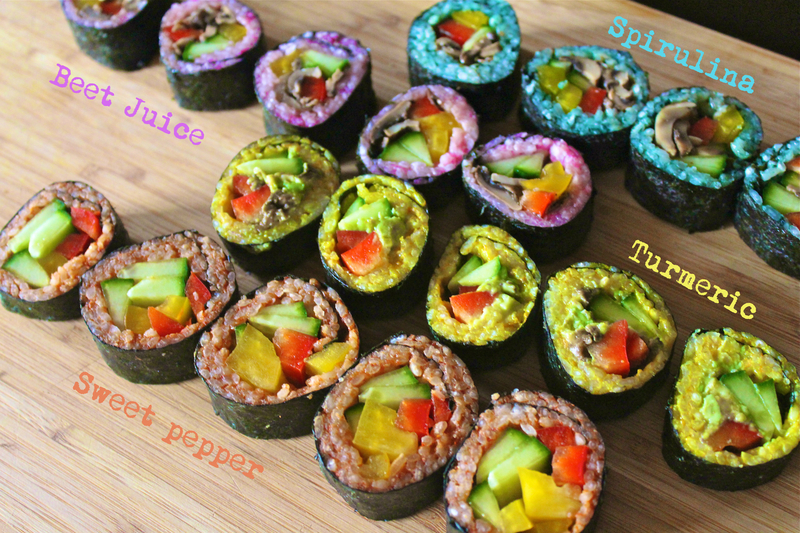 Vegan Maki Sushi isn’t a new Recipe invented by the Delight Bite – kitchen but today I gave it a little twist by coloring the rice with natural colors – Spirulina, Turmeric, Beet Juice and Sweet Pepper Powder transformed this simple meal into a rainbow. With Sauteed Garlic-Mushrooms I added more Omami to the food and served it with pickled Ginger, Soy Sauce, Wasabi and of course Chop Sticks. 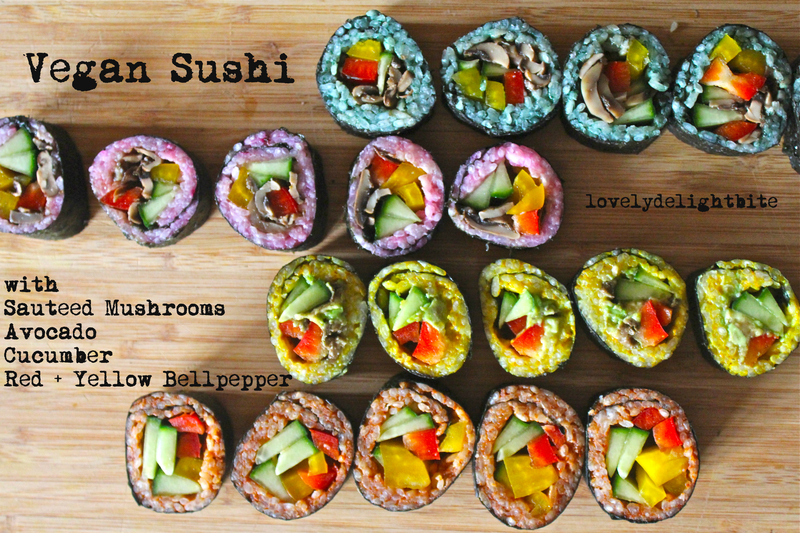 A great way to create Finger Food for a Party or simply bring some color to the table in a natural way. So pretty! 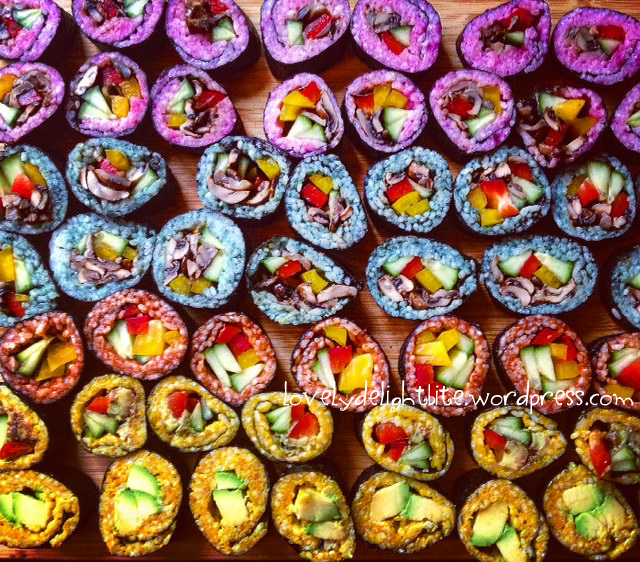 I love sushi.. this post has given me a serious craving for some sushi now! It looks so great 🙂 yummy! Vibrant!! An amazing blog you have. thank you so much! wow you do too! food artist! Looking forward for your posts!